St. Martin's Griffin, 9781250123381, 240pp. A slow cooker is the ideal partner in crime when it comes to tackling dishes that can be too time- and work-intensive for every day, like French onion soup or chicken cordon bleu. And in this cookbook, we’re going way beyond the expected soups and stews. 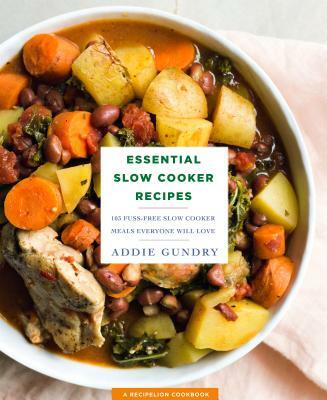 Cutthroat Kitchen winner Addie Gundry offers up recipes for appetizers like BBQ Meatballs, breads like Slow Cooker Dinner Rolls, make-ahead breakfasts like Banana Pecan French Toast, and desserts like Pineapple Upside Down Cake, not to mention slow cooker twists on beloved recipes like Lasagna, Meatloaf, and Stuffed Peppers. Each recipe is paired with a finished-dish full-bleed color photo.